Let your sophisticated style soar with the Aim High Arrows Colorful Cut-Outs(R). 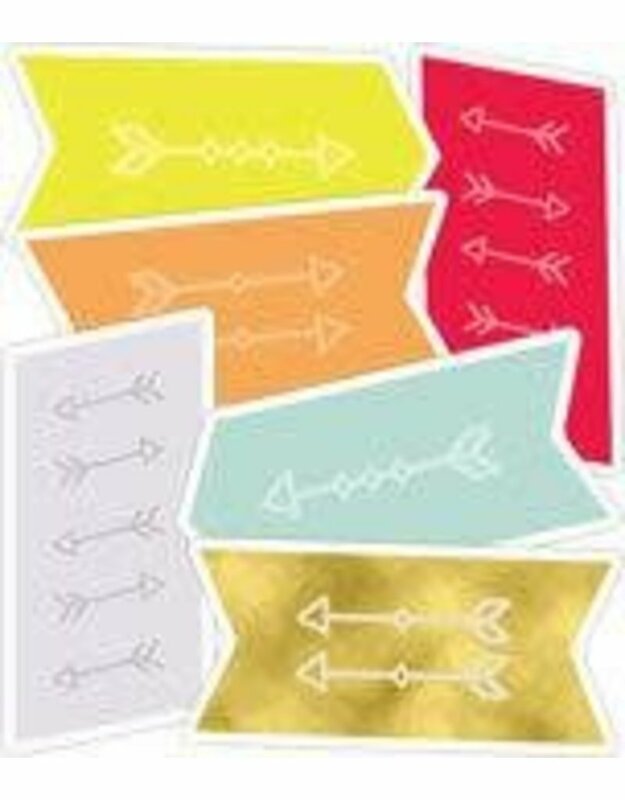 This pack includes:-9 each of lime green and teal blue arrows-6 each of gold, gray, orange, red arrowsYou can use these 42 classroom mini cut-outs for name tags, game pieces, and more. --Carson-Dellosa’s assorted Colorful Cut-Outs offer an easy way to decorate displays, but their purpose goes beyond style. Available in a variety of shapes and colors, they are perfect to use as desk tags, classroom labels, cubby tags, and more. Be sure to look for additional Aim High products for unified classroom style.